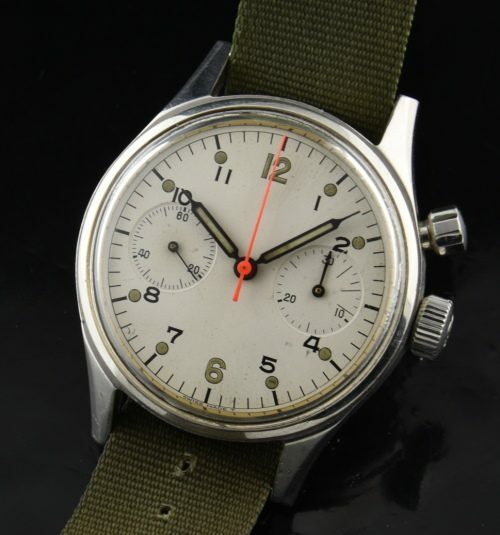 Here is a hard to find CANADIAN BREITLING MILITARY One button chronograph watch from the 1960’s that was issued to AIRCREW on Canadian military aircraft. 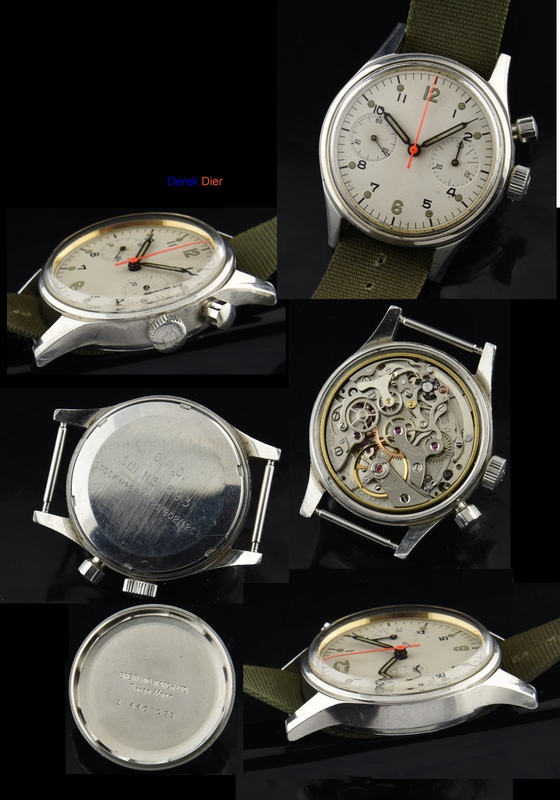 This watch is entirely original, including the hands, dial, signed screw-back steel case with military (Department of National Defense) identification numbers. The fine caliber 236 VALJOUX manual winding signed BREITLING movement was expensively cleaned and serviced and functioning perfectly. This watch has a hack second feature. The 36x45mm. stainless steel signed BREITLING case displays very fine condition. The original dial was produced with military specifications and is (correctly) unsigned. This dial has an even patina and looks excellent! We rarely find these watches. Grab it while you can.